First let’s begin with gentrification. A lot of times this will start within large cities, in specific urban areas that happen to be run-down, yet with an old school charm about them still. Developers see the potential in these buildings within communities where (often lower class) people have been living for decades. These developers buy the apartment buildings. Everything is going great; the whole area is being remodeled, there are new coffee houses and revamped parks with little organic stores. This brings in upper to middle class (mostly white) people into the area, looking to get into the mix and live there. Once the lease is up for families that have been living there before this new influx, the owners tell them they’re raising it by 50%. And that’s when families start to get evicted, left to struggle for a new home, if not a new job. We can see how this can be an issue as well when small stores’ rent is raised and they‘re put out of business. What was once a multicultural community is now a bougie, hipster neighborhood. And let’s specifically focus on the phrase “mothers are trying to feed children.” Now focus on the word mothers. Why didn’t Technique say fathers? Or parents? Because he’s trying to make us realize that mothers are overwhelmingly using this welfare, and raising children by themselves. This phenomenon is called the Feminization of Poverty, and it is defined by the high percentage of women headed families that are impoverished. And I would be lying if I said it wasn’t mainly blacks and latinas on the census roll. How these mothers got to be single is an entirely different story, but let’s look at why they are impoverished. Seeing as women only make 77 cents per every man’s dollar, you can see where the inequality starts. And then it’s all down hill from there. When you are a single parent, your children are counting on you to make a decent wage so everyone can survive. That means going to work. But who watches your kids while you work? Who feeds them, takes them to school? Obviously this is hard if you’re working in the early hours, but also just as hard if you have later shifts. Who will help them with their homework? Who will make sure they aren’t getting into trouble? We start to understand why so many single parent families are on welfare; they don’t have the time to work a job or two, and ultimately they must rely on government welfare in order to survive (barely). The Feminization of Poverty is a dangerous cycle that perpetuates itself, and once it’s started it’s hard to break. So where did we leave off? Oh yes, single-parent headed households. Let’s assume that it will be harder to live when you are the single mother or father of a family, since you are the primary breadwinner and parent. And then let’s dissect exactly why you can’t raise a family on minimum wage. Rent: For a two bedroom apartment, the lowest listings we found to be $1,126 (Lemon Grove area). You would think that an impoverished family would rather rent a smaller home, but alas, it is illegal for more than two people to sleep per room. Transportation: For frugal living, a yearly bus pass for one adult is $72 in San Diego County. For children, $36. For the entire family with one parent and three children, $180. And you don’t need to be a rocket scientist to figure it will be significantly more expensive if one has to pay a monthly car payment instead. Childcare: For five days a week, quality child care services amount to roughly $420, per child. If you have three children, that price altogether is $1,260. Weekly. Groceries: According to the U.S. Bureau of Labor Statistics, an impoverished family of two will spend $3,748 on food, annually. When divided into twelve months, that’s $312 per month. Now we must double that amount, since our hypothetical family has four members. Which brings us to $624, monthly. And keep in mind the USDA recommends a family of four, at a minimum, spend $190 a week on groceries, which is $764 monthly, one hundred dollars off the original calculation. The grand monthly total? $3,190, well over the single-parent’s monthly income. We are strengthening already dominant classes by creating even more living spaces for them through gentrification, at the expense of lower classes losing their homes. And how is this racism? If you look at statistics (http://kff.org/other/state-indicator/poverty-rate-by-raceethnicity/) for poverty state by state in America, white people as a group go no higher than 20%; people of colors’(black, latino, native, other) statistics are as high as 47%, with an average in the 30 percent range. Keeping people of color in poverty is obviously a mechanism to keep them beneath the privileged few (see:white people, more specifically white males) who hold economic and social power in our society. We need to realize that many people of color are being driven further and further into a debt that began with their enslavement and colonization from European settlers centuries ago. This disparity in social and economic power manifests itself today when we see mostly non-white people on welfare and when we see non-white families being kicked out of their homes due to gentrification in large urban areas. 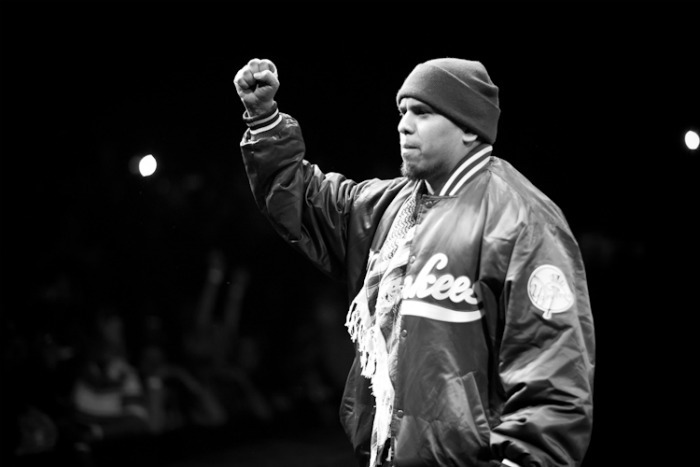 We, as a group of people, can use Immortal Technique’s songs to raise our own awareness, however we also must use them as a call to action. 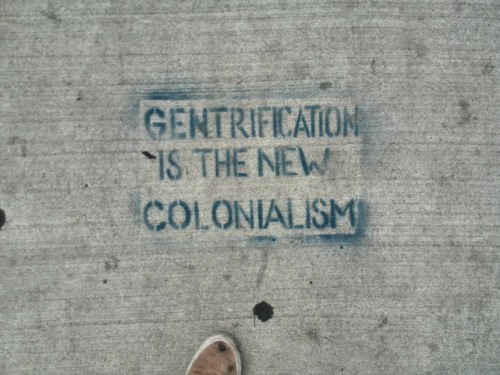 How will you fight gentrification? Do you think there is even a way to stop it?